If you’re about to have a mastectomy or you’ve recently had one, then you might have a few concerns about what such a significant change to your body will mean, and one aspect which a lot of women worry about, but don’t necessarily talk about, is clothes and fashion. A mastectomy is a serious operation and, surrounded by all the seriousness related to breast cancer, chemotherapy and hormone treatments you may feel like voicing concerns about what bras and clothes you will wear will sound superficial. But it’s not. 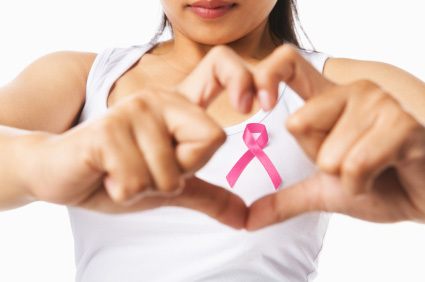 A mastectomy will change your body shape and this is bound to affect how feel about yourself. Below are a few hints and tips collated from around the internet about how to shop once you’ve had a mastectomy. If your used to wearing low neck lines, or tops which reveal skin around the under arm then you’ll probably want to think about trying a few new styles out. Even if you’ve never worn particularly low necklines you might still be surprised how many of your tops are designed around a neckline which isn’t high. If you’re feeling unsure about what to wear in public, or you don’t want everyone to know you’ve had a mastectomy then a high neckline is always a good option. Slash necklines are also good as they still have a high neckline but feel a little looser and slightly more revealing than a high neckline. If you do want to wear something a little lower then you can always cover up with a scarf, or take a scarf with you in case you start to feel uncomfortable. 50’s style dresses are also really suitable after surgery and are luckily in fashion at the moment. Take a look at some fashion magazines to see what styles and items of clothing will suit your body shape but also hide any scars you want to cover up. When you first start exploring new fashions it will be a case of trial and error until you come across clothing which not only suits you, but which you like. It’s up to you how much evidence of your surgery you reveal or you cover up, and only you can find out the balance you’re comfortable with. There’s absolutely no obligation to hide scars or the fact that you’ve had a mastectomy so if you don’t want to, don’t feel like you should. By the same token there’s nothing wrong with not wanting everybody to know about your surgery, both points of view are equally as valid. Try lots of things out in the changing room so you don’t cut yourself off from potential styles which could suit you. An important aspect of feeling comfortable after a mastectomy is exploring your options for buying bras and breast forms. Breast forms are prostheses that come in two different types – the ‘insert prostheses’ and the ‘contact prostheses’. The latter sticks to your chest wall creating the most realistic effect. A breast form can remain in place and well-disguised if it is worn in combination with a well-fitting bra. Although there are good ranges of mastectomy bras out there, you can actually wear normal bras with your breast forms as long as they fit well. Look for good separation between the cups, a cup that encases the breast form securely and a strong structure that supports the form fully and comfortably. There’s some great advice from Trinny and Susannah here and the NHS have a really helpful guide too. Mastectomy bikinis are also available in a range of different styles. Mastectomy fashion is getting more and more attention and increasingly fashion brands are dedicating entire ranges to mastectomy wear. So if you’re about to get a mastectomy and you’re worried about what you’ll wear then don’t fret- the future for mastectomy fashion is looking bright.